Big wedding on a budget? No Problem With Hog Roast Stamford Bridge! 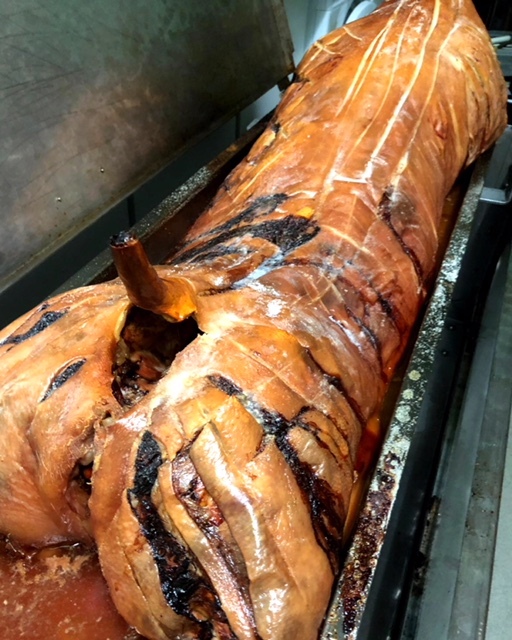 Here at Hog Roast Stamford Bridge, we have a range of menus to suit all culinary and financial needs, and we have great confidence in our ability to find a menu and service that caters best for you the customer. We meet with our clients prior to events in order to get the best possible idea of what we can do for you, and you may be surprised at the wide variety of events, with greatly contrasting budgets that we cater for. In the recent weeks for example, we were contacted by a bride and groom to be, Ash and Jason. With both of them having a huge family, there was a lot to organise, such as a venue that could house over one hundred guests for the service, and an extra fifty for the reception. But having only just graduated from university, they needed to keep the price down. We spoke with them beforehand and found a menu that suited their needs. We suggested a Hog Roast served in crusty bread rolls with a selection of sauces, otherwise known as our Pigs in Buns, which would be served in the evening at the reception. Not only is this a great way of feeding everyone, and feeding them well, but is also a fantastic way to keep costs down, as they do not require cutlery or plates to eat, and necessitates only one member of staff – a chef to serve. The chef from Hog Roast Stamford Bridge was on site nice and early to begin preparing the Hog Roast. As the service ensued, he was busy butchering the hog, and placing it on the spit to roast slowly over several hours. As it cooks, the meat is turned in order to disperse its natural basting fluids evenly throughout, which results in a moist and tender finish, with crispy crackling to die for. When the guests began to arrive for the reception, he had already prepared the crusty bread rolls and sauces, and was ready to serve immediately. Both Ash and Jason thoroughly enjoyed the wedding and their lovely hog roast, and so did their guests who all left no crumbs. After another job well done, it was time for our chef from Hog Roast Stamford Bridge to tidy away his mess discreetly and dispose of any waste off-site. 40th Fancy Dress Birthday Hog Roast In Calcutt.